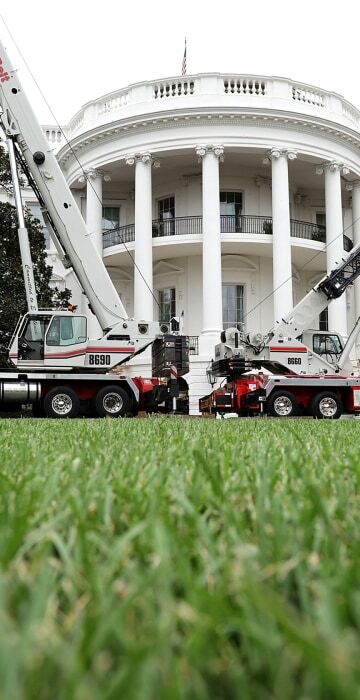 The White House undergoes renovations while Trump is in New Jersey. 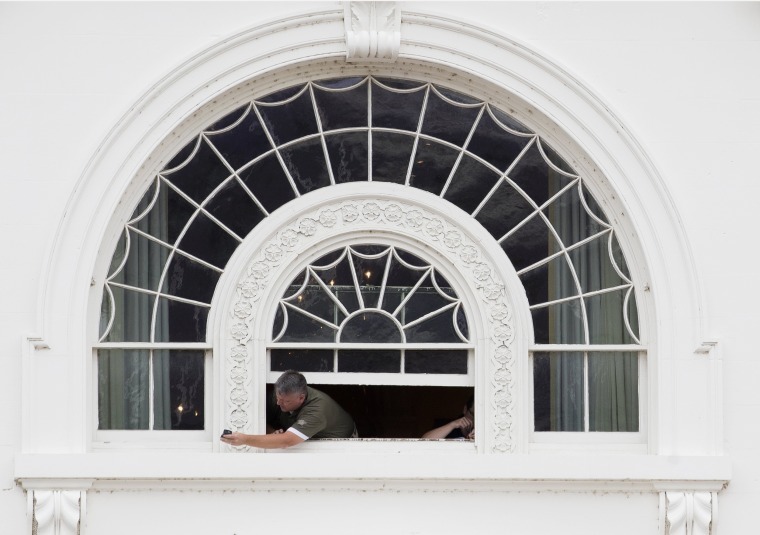 A worker reaches out of a window during renovation work at the White House in Washington on Aug. 11, 2017. The Government Services Administration is overseeing the two-week project. 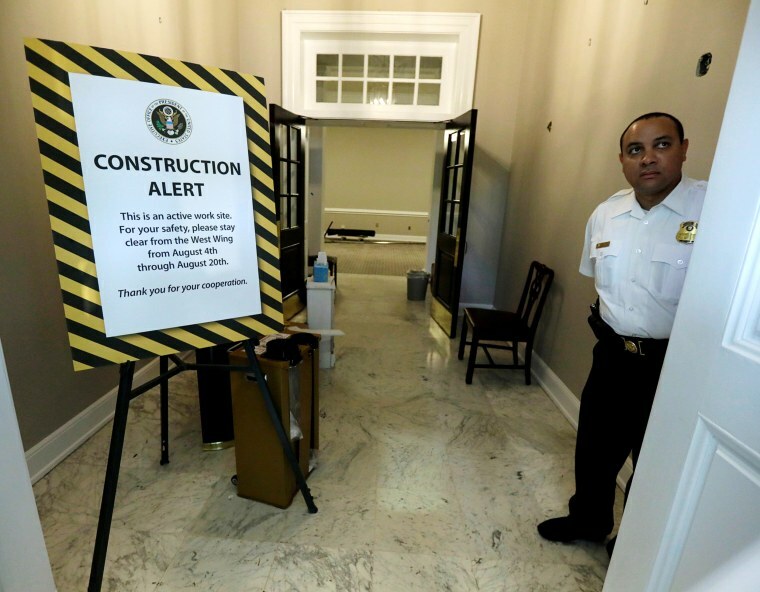 A new heating, ventilation and air conditioning system is being installed in addition to renovations of the West Wing lower lobby, the IT system and the South Portico steps. 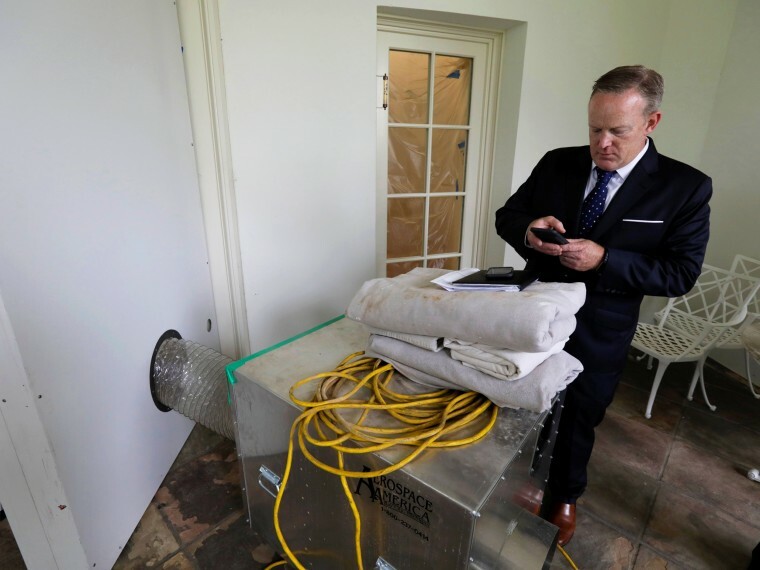 President Donald J. Trump has cited the renovations as a reason for his 'working vacation' that is planned for most of August in Bedminster, New Jersey. 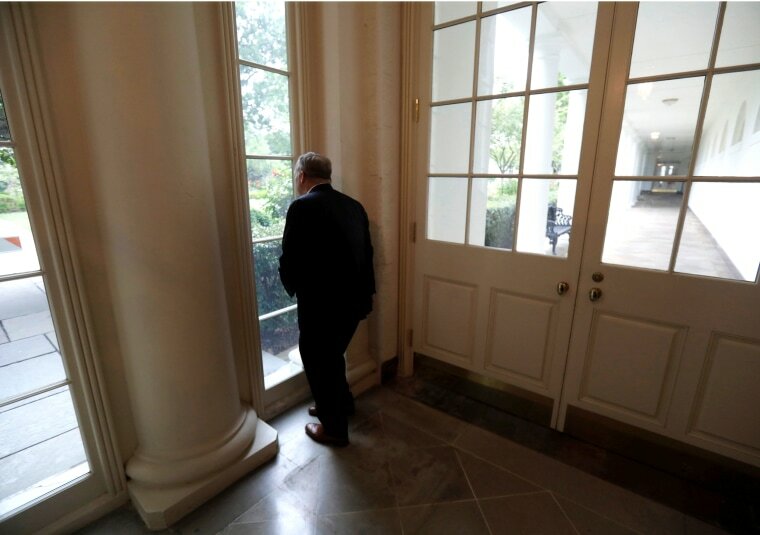 Former White House Press Secretary and Communications Director Sean Spicer, who is continuing to work until the end of the month, looks out into the Rose Garden as he accompanies a media tour. 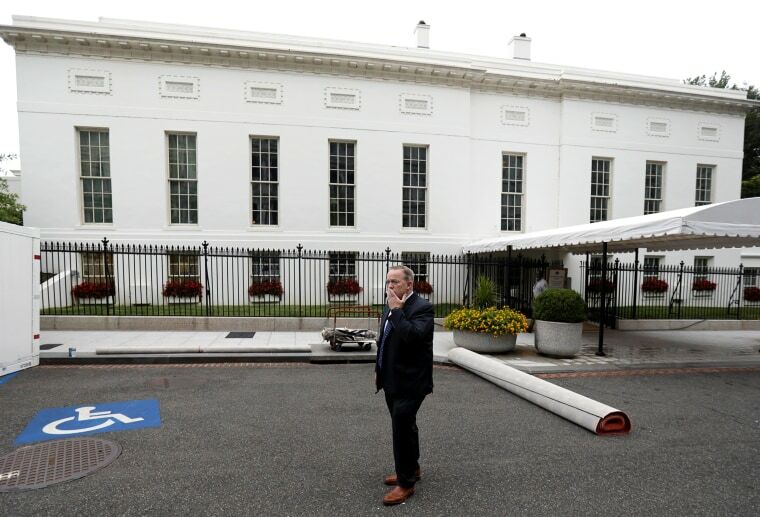 A uniformed U.S. Secret Service officer stands guard at the closed main entrance to the West Wing. 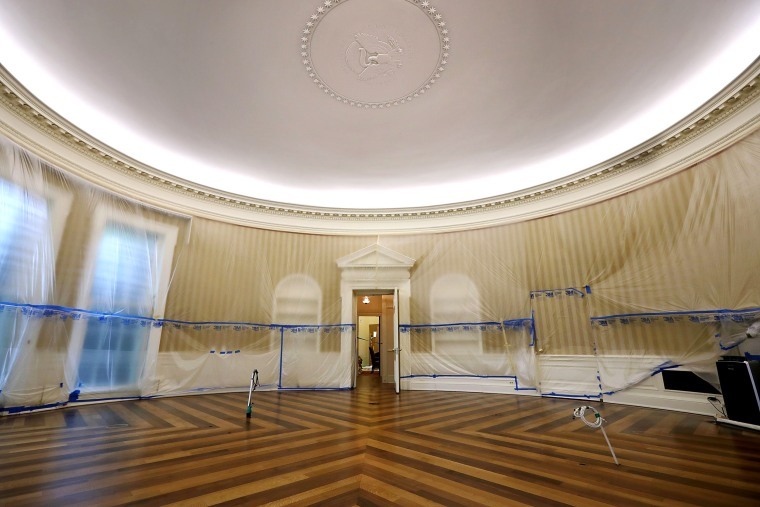 The Oval Office sits empty and the walls covered with plastic sheeting. 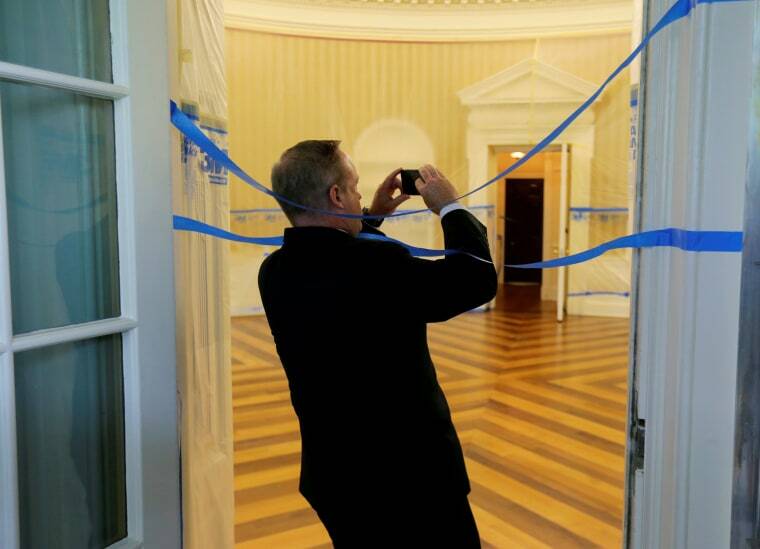 Sean Spicer takes photos of the Oval Office, emptied of all furniture, carpet and other decor. 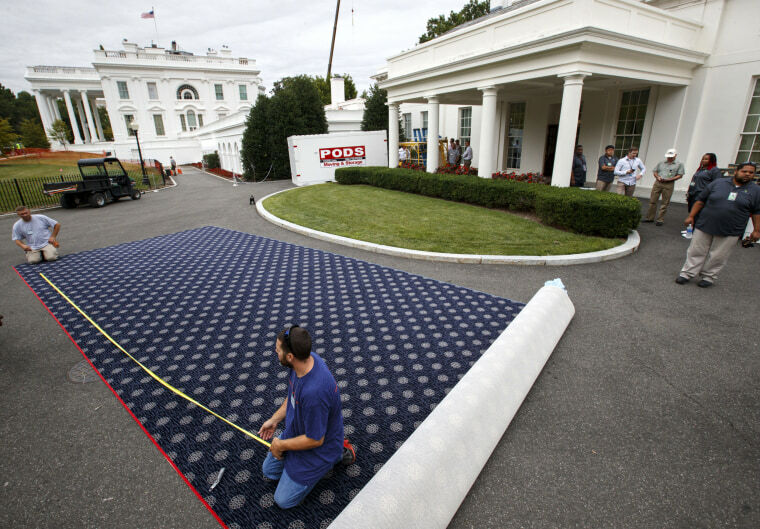 Construction workers lay carpet on a ramp from the West Wing offices to the White House colonnade. 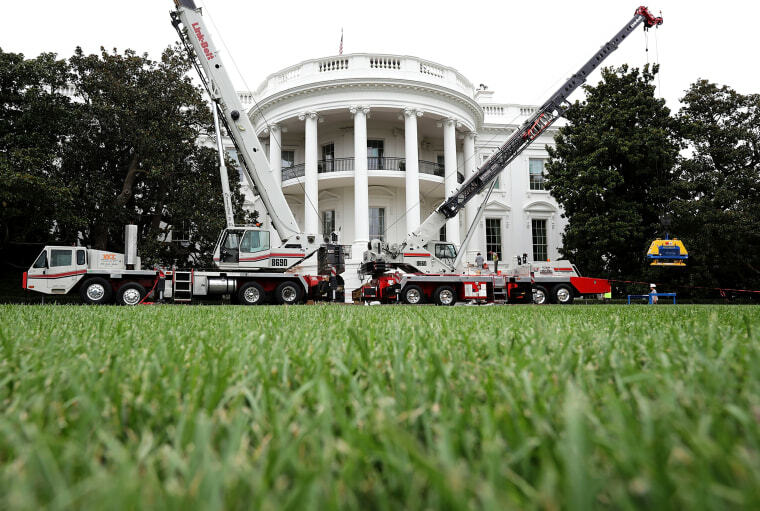 Sean Spicer checks his email as he stands amidst construction equipment outside the empty Oval Office. Construction cranes work to repair the South Portico steps. 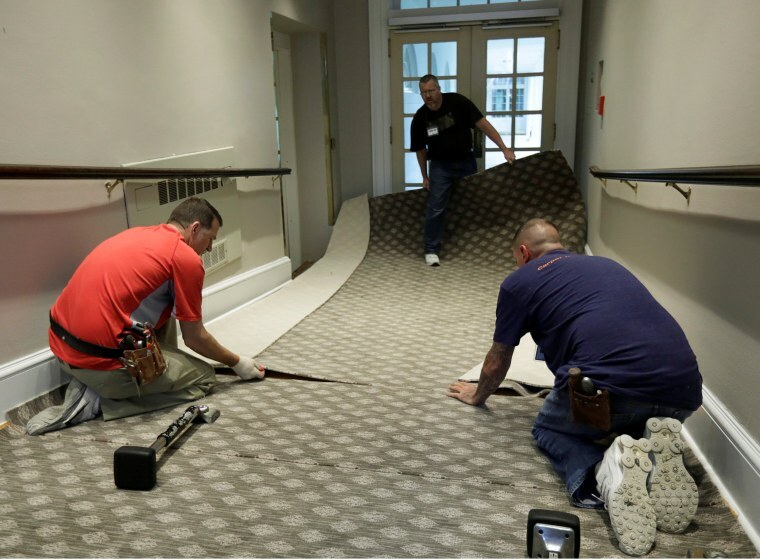 Workmen prepare new carpeting for the West Wing. 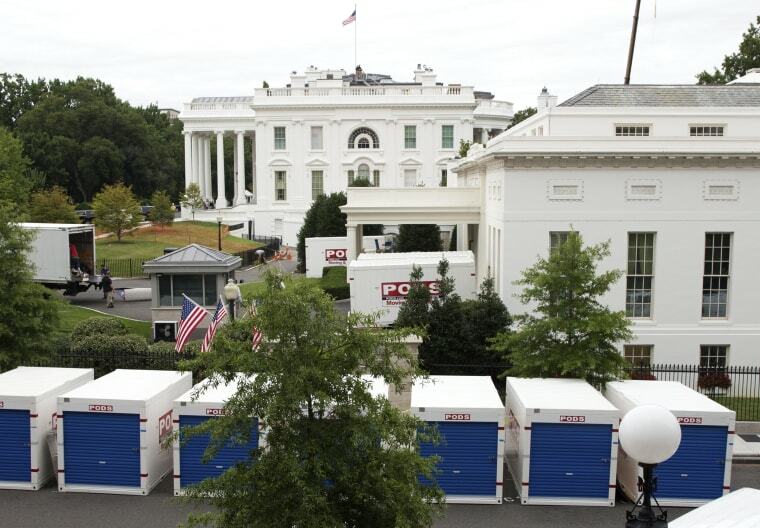 Pods sit on West Executive Drive outside the West Wing. 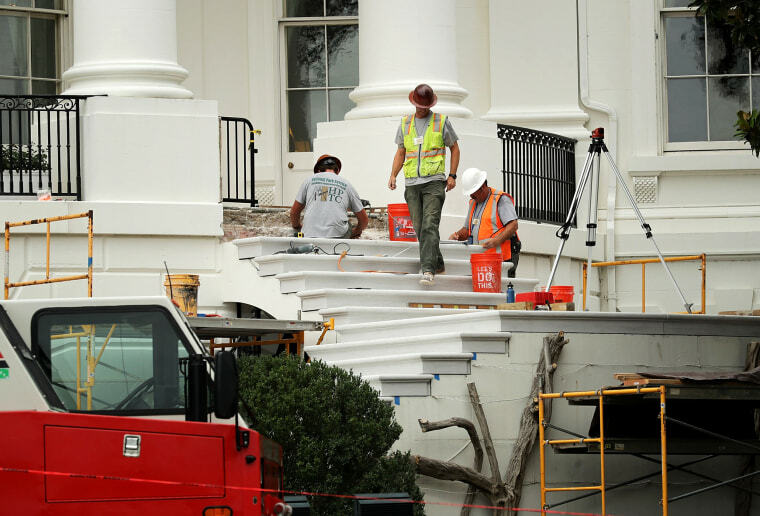 Workers repair the South Portico steps, which were rebuilt in 1952 and have not been repaired since. Sean Spicer stands alone on West Executive Drive outside the West Wing during a press tour.